It’s almost time for NBC to return to regularly scheduled programming. That’s right, the end of the Rio 2016 Olympic games is in sight with the Closing Ceremony approaching on Sunday, Aug. 21. Since it's your last chance to watch the summer Olympics for four whole years, you won't want to miss it. So if you made plans for Sunday night, you'll need to know when NBC will replay the Rio Closing Ceremony. The first broadcast of the Closing Ceremony will air at 7 p.m. ET on NBC and later in the western United States. The games will close in the same space as they kicked off just weeks ago, Brazil’s Maracanã Stadium, so you know it will be another entertaining night. But don't worry, if you can’t be near a television during primetime on Sunday, there are still a few ways you can enjoy the closing celebration. To livestream the Olympics, viewers can use the NBC Sports app or NBCOlympics.com, according to NBC. This livestream is available across multiple devices. But, there is a catch. Olympics coverage can only be streamed if you login with a cable subscription. Those who don’t have a cable login will only be able to stream 30 minutes of content on their first visit and then only five minutes per day on following visits — neither of which is enough time to watch the whole Closing Ceremony. Of course, if you're not near a computer on Sunday night either, you'll need to find the Closing Ceremony at a later time, which is actually pretty easy. 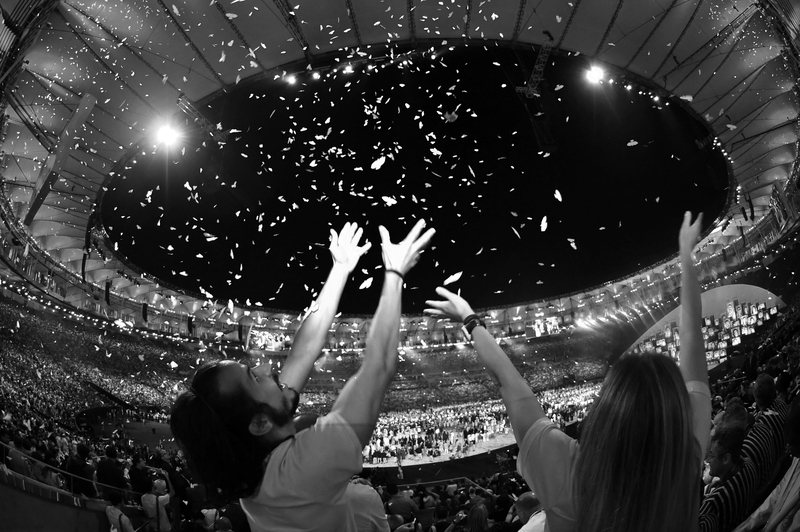 NBC will rebroadcast the 2016 Olympics Closing Ceremony after local news coverage. The Closing Ceremony will air again with a look back at 2016’s highlights at 11:35 p.m. ET, followed by the ceremony at 12:35 a.m. ET. You can also check your local listings for additional replay information at www.nbc.com/schedule. Now that we know how to watch the Closing Ceremony, you need to know why. Although, with the Olympics, do you really need a reason? I mean, we’ve already been on the couch, watching, in awe of the athleticism, unity, and inspirational backstories for two weeks. That's not to say the Closing Ceremony doesn't offer some incentives of its own. According to the Latin Post, Norweigan musician Kygo is slated to perform his new single “Carry Me” at the Closing Ceremony and will be accompanied by vocalist Julia Michaels. The article also reports that the Greek national anthem will be performed as a nod to the first country to host the games. And, of course, Brazil’s national anthem will also be played to honor the host country. Then there's Pelé. After the 75-year-old Brazilian soccer legend missed the Opening Ceremony for health reasons, concerned fans have been anxious to see if he will be able to attend the closing celebration. Pelé recently tweeted a hopeful message to his fans that he is working to be able to attend the Closing Ceremony, which is reason enough to tune in. Thanks to TV replays and online streaming, no one has to miss the Olympics Closing Ceremony. Whether you watch Kygo online or tear up at the international anthems in post-primetime replay, American viewers will be able to experience the power and unity of the Olympics with the rest of the world, which is pretty beautiful.